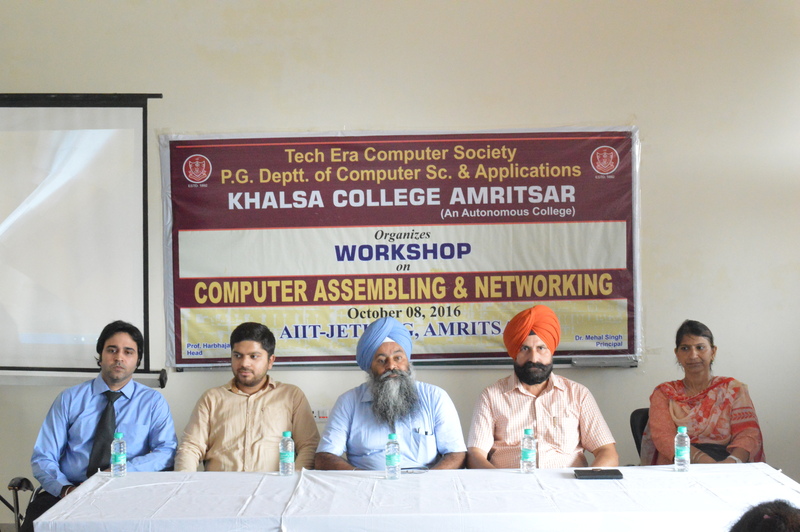 The workshop on “COMPUTER ASSEMBLING & NETWORKING” was organized by Tech-Era Computer society of P.G. 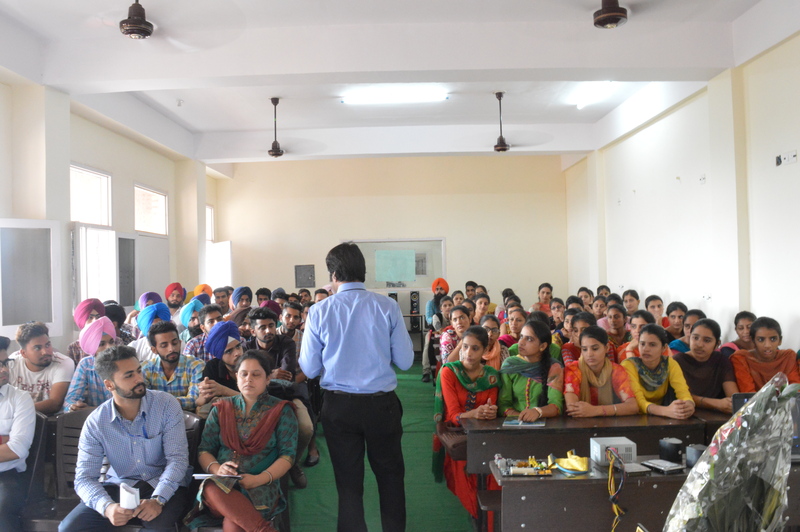 Department of Computer Science & Applications, Khalsa College Amritsar. 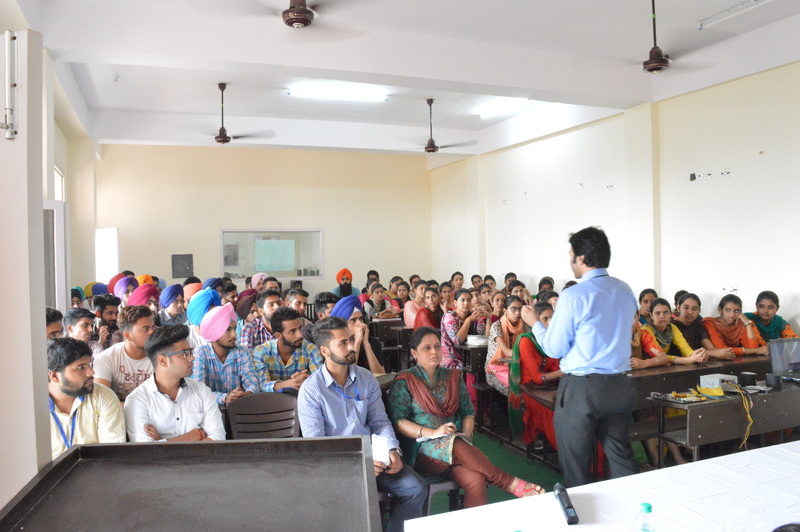 The executives of AIIT-JETKING Amritsar conducted the workshop. In the first session they discussed about various components of computer hardware and their functioning and gave practical training to students about how to assemble different components of computer hardware. In the second session they discussed about how to assign IP address to different machines and how to establish virtual network between physical and virtual machine. Prof. Davinder Singh, Registrar, Prof. Harbhajan Singh Randhawa, Head Computer Deptt., Prof. Kawaljit Kaur gave floral welcome to executives of AIIT-JETKING Amritsar. Prof. Davinder Singh, Registrar, Khalsa College Amritsar welcomed executives of AIIT-JETKING Amritsar on the behalf of Dr. Mehal Singh Principal, Khalsa College Amritsar. He encouraged students to gain not only theoretical knowledge but practical knowledge as well. 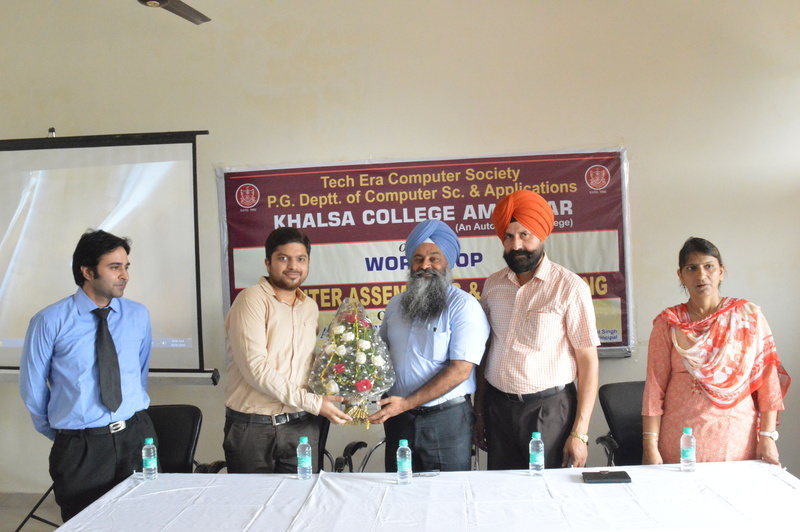 He congratulated Prof. Harbhajan Singh Randhawa, Head & Faculty members of Computer Science Department for arranging such workshop. At the end Prof. Harbhajan Singh Randhawa, Head, Computer Science department gave vote of thanks. During this workshop Prof. Kawaljit Kaur , Prof. Sukhwinder Kaur, Prof. Prabhjot Kaur , Prof. Anureet Kaur, Prof. Gaganpreet Kaur, Prof. Ravi Patni and Prof. Rupinder Kaur were also present.